Home Soap Handmade Soap mask is a real find for face care. 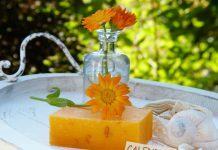 To maximize the positive effect from handmade soap, one needs to know some ways of using it. Natural handmade soap, which contains essential oils and plant extracts represents the close communication with nature. The composition of this product and the technology of its manufacture allow not drying the skin, gently cleaning it, making it soft, velvety and very fragrant. Masks, based on handmade soap can be a real godsend for the care and cleansing of the skin. To prepare it you need to take a piece of soap, grind it, add a little warm water and whisk. The resulting dense foam is applied to the skin, except for areas around the lips and eyes. Those, who have dry and sensitive skin, can use handmade soap with additives of chamomile, Jasmine and lavender. For oily skin lemon, eucalyptus, grapefruit and mint are appropriate. As it dries, apply the next layer of foam, followed by another, and after 5 minutes, wash your face with cool water, then wipe your face with lotion and apply a nourishing cream. This mask will be a great tool for problem skin, especially in the presence of blackheads. It should be used 2 times a week, after constant use, the skin will shine clean and healthy. 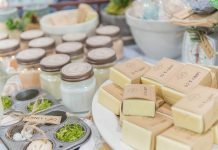 Previous articleHow to store handmade soap properly? 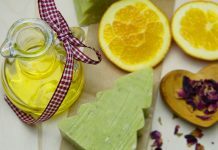 Next articleWhat is the role of essential oils in handmade soap?